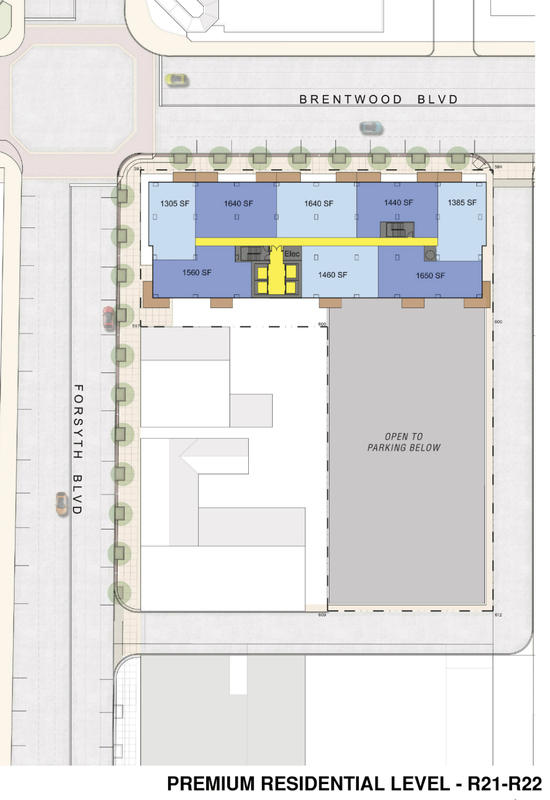 The City of Clayton appears ready to move forward with the development of one of its parking lots. 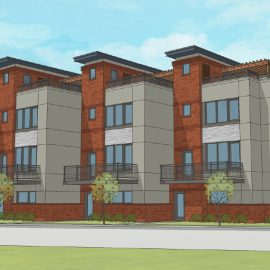 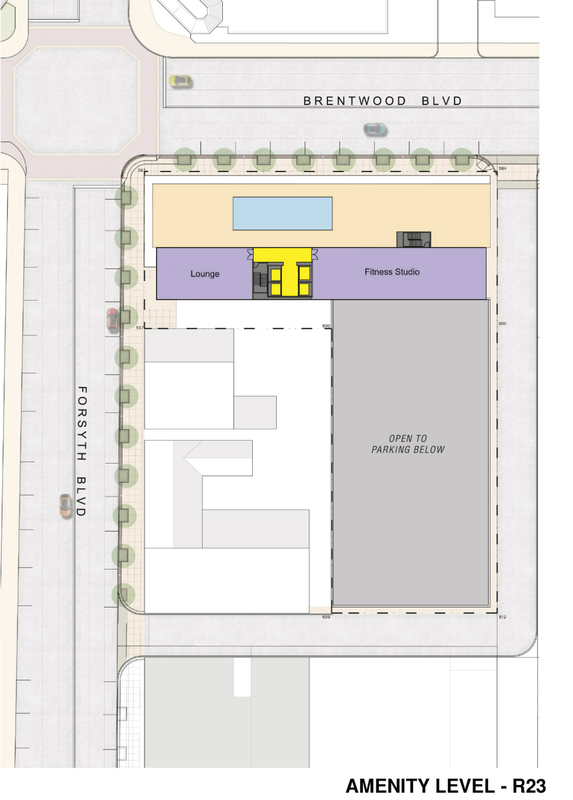 Flaherty & Collins Properties has been chosen as the preferred developer after an extended process to consider the future of the property at 8049 Forsyth Boulevard (Google Map). 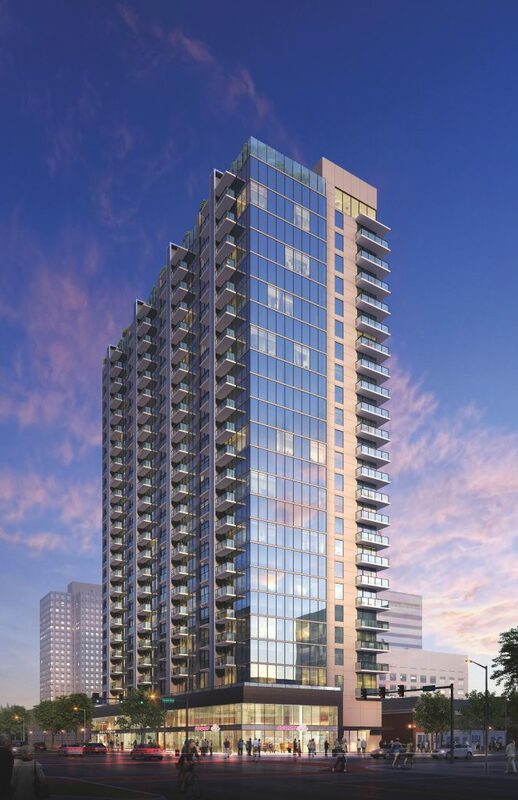 Proposed is a 24-story tower at the northeast corner of Brentwood and Forsyth Boulevards across from the city’s Shaw Park. 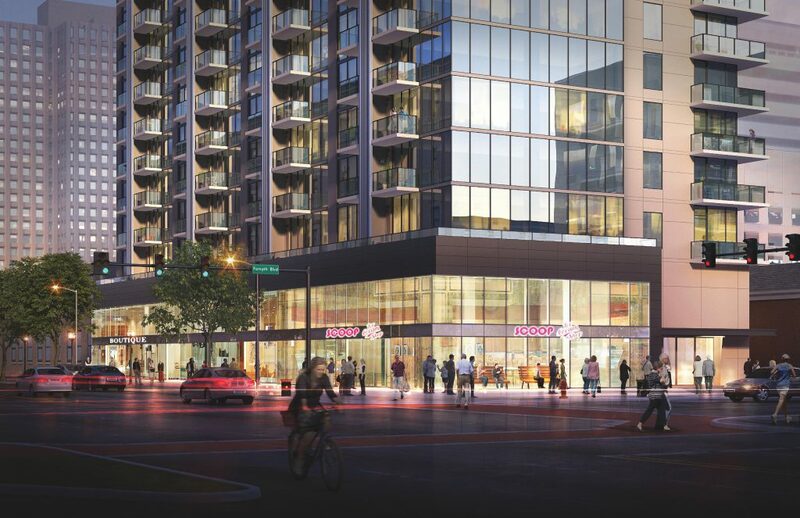 The project is estimated at $70M and would include 264 luxury market rate one and two bedroom apartments and 373 structured parking spaces. 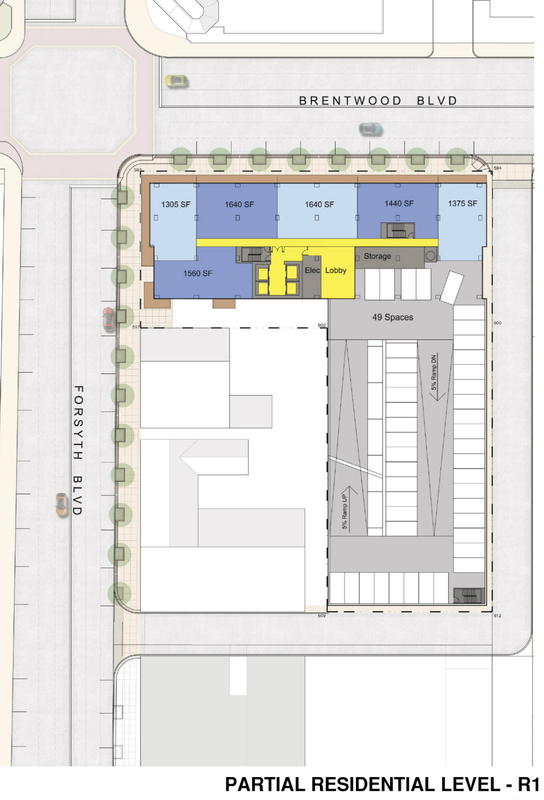 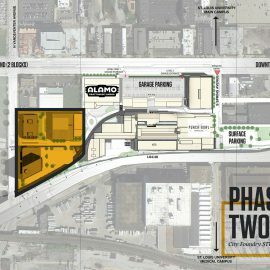 Approximately 8K sf of “tenant retail space and associated service spaces” would occupy the building’s street level. 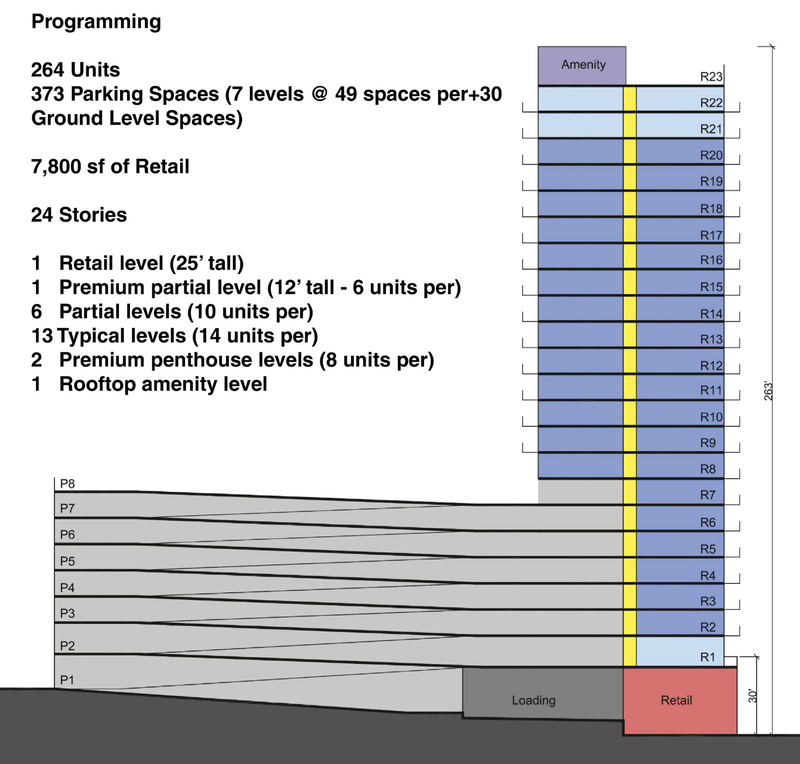 In all, the building would total 475K sf. 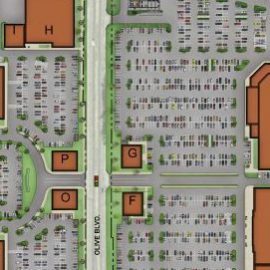 Some parking would be available to the public, though it is unclear the number of spaces. 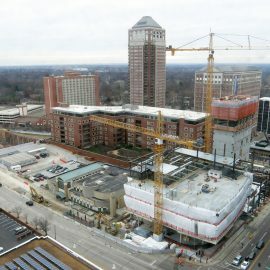 The project would add significant residential density to downtown Clayton, a stated goal of the city’s master plan. 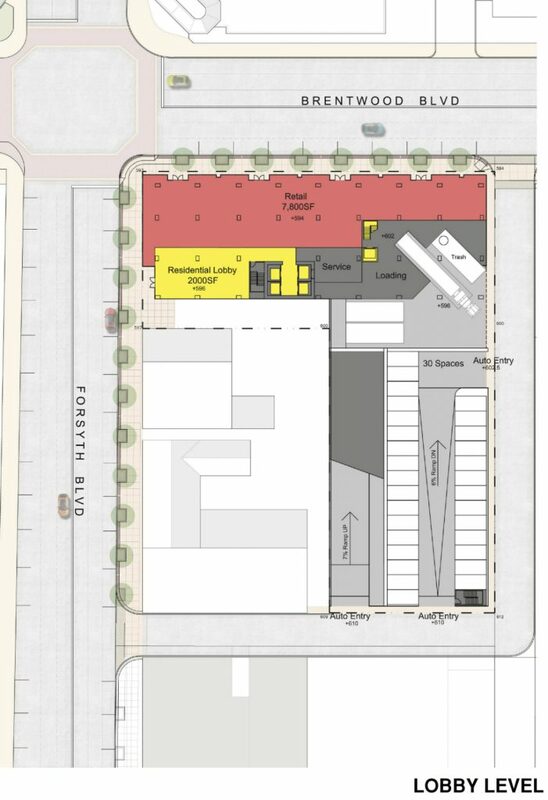 The developer is asking the city to allow a five-foot setback along both Brentwood and Forsyth instead of the required 15ft in order to accommodate added space in the alley, and the planned parking deck. 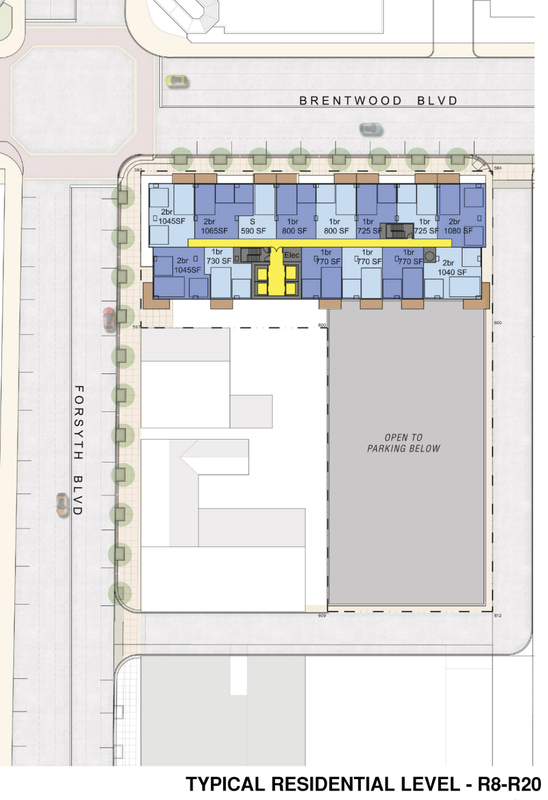 It’s unclear exactly how the change would impact the sidewalk and public right-of-way at the building. 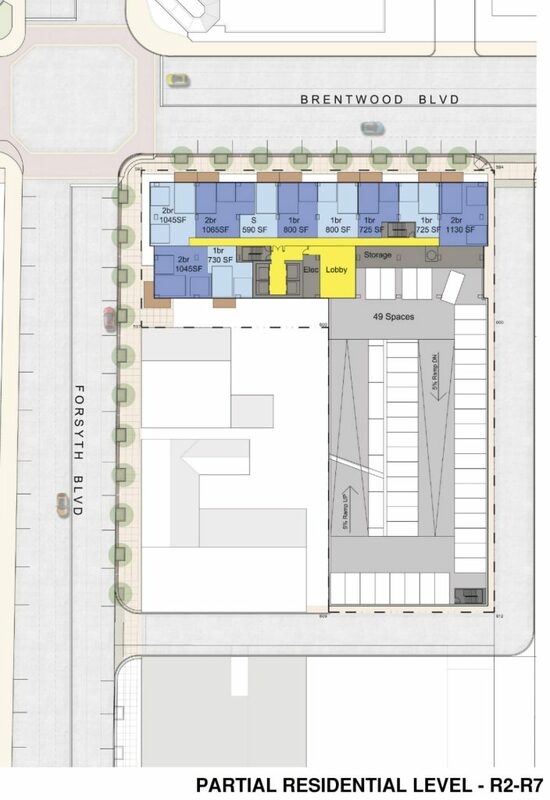 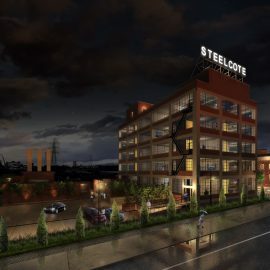 The only other known proposal to the city for the site was by Apogee Associates (image below). 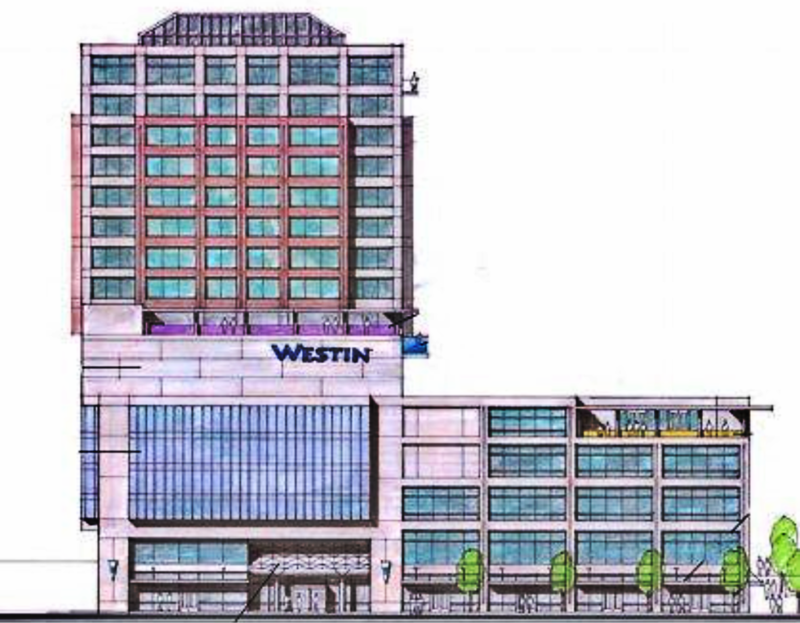 That plan called for a 230-room Westin hotel, 62 residential units, 200K sf of office, and “high-end luxury brand shopping”. Apogee’s proposal for a 14-story, $68M office building a half-block west of Brentwood on Forsyth has stalled over disputed parking requirements.